The purpose of this website is to let you know a little bit about Orkney Vintage Club and the range of activities we have planned for 2018, whether you are a visitor to Orkney or a resident. The car in the picture is a splendid example of an Austin 3Litre, owned and displayed at the Science Festival by Cathleen Hourie. To be held at Heathfield on Sunday 31st March at 10.00a m.
By kind permission of the Hourie family. 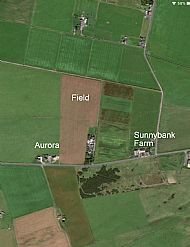 The field is as shown on the attached photo. Orkney Vintage Club DVDThe 2018 Orkney Vintage Club DVD box set is now availablee to purchase and costs £15 from W Shearers in Victoria Street or could be ordered by sending a message to our Facebook page Packing and postage is £2. 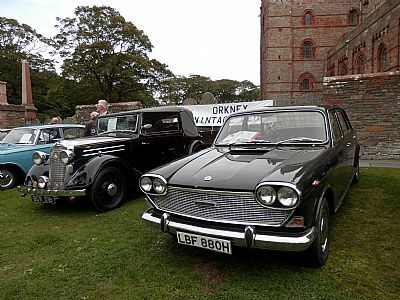 For more information about the Orkney Vintage Club click here. 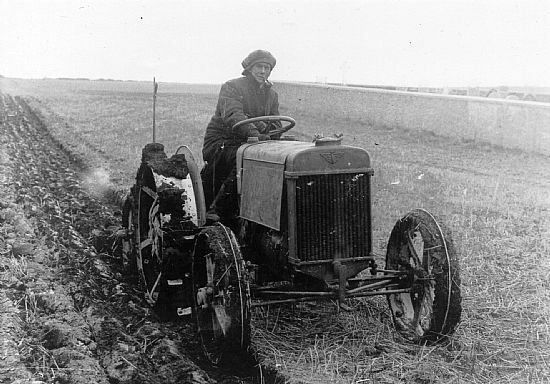 Austin tractor ploughing at Orquil.